In this post, I would like to tell you about 10 best destinations in Europe for off-season travel. Europe can be overwhelming. With so many amazing places to visit and so many people willing to visit them and the cities which simply can’t handle SO MANY people. In the end, visiting Rome or Paris in July will be far from enjoyable, unless you want to spend all your holiday waiting in lines for the top attractions in these cities. That’s why since 3 years ago we mostly travel off-season. And you know what? It’s amazing. First of all, you’ll save a lot of money. Literally, everything will be cheaper: flights, accommodation, even food! (Plenty of restaurants here in Edinburgh rise the prices for the Festivals in August, which is ridiculous, but understandable. Business is business). Secondly, you can interact more with the locals. During the busy times, locals are usually trying to do as much business as possible, not spending much time on every individual tourist or customer. When you travel off-season, sometimes you’re the only customer, so you get to speak to the locals and understand the culture better. For example, during our amazing crazy Balkan road trip, we interacted with locals in F.Y.R.O.M (Macedonia), Bosnia & Herzegovina and even Croatia. Finally, everything is less crowded and you can enjoy your travels more and even take better photos. All the best photos of Edinburgh I took in February and March & April when it was actually possible to take photos! Otherwise, the city is just so crowded, that you have to wait to take some photos in some of the most Instagrammable places in Edinburgh. Why visit Edinburgh off-season? Well, all the 3 reasons above perfectly apply to Edinburgh: it’s cheaper, less crowded and you can actually interact with Scottish people without annoying them and being the 101st tourist, who asked, where is the closest loo. Edinburgh is famous for its unpredictable weather, but having lived there for 1.5 years (and Pepe lived there for full 3 years), I can say that the weather in Edinburgh off-season is often better than during the summer. In January and February, for example, it could be pretty cold, but at the same time very sunny and not so windy! October is great too – the whole city is getting ready for winter, thus the trees are getting yellow and the city looks amazing. 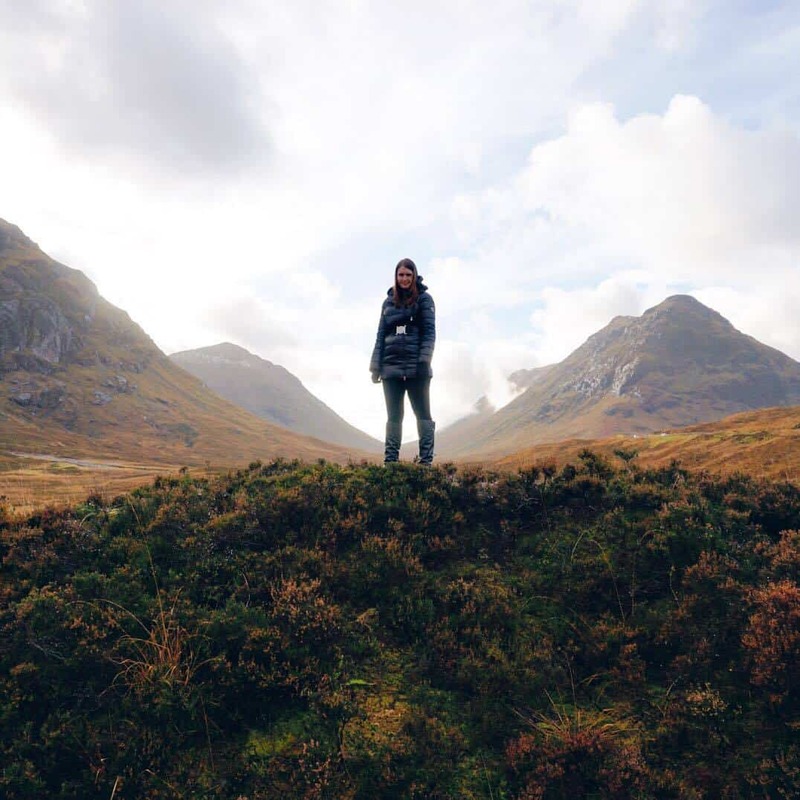 The Highlands in Scotland looked fantastic even in November – we took a small road trip to Glencoe, Fort Willian and Glenfinnan and took some spectacular photos! My personal favourite month in Edinburgh is actually April – you can see the bloom of dandelions and the cherry blossom! Believe me, it’s definitely worth seeing! Don’t forget to check the availability of the best affordable hotels in Edinburgh right now! Check the prices for hotels in Edinburgh. Croatia during the off-season is less crowded and colder – so you won’t suffocate on the streets packed with thousands of the tourists! 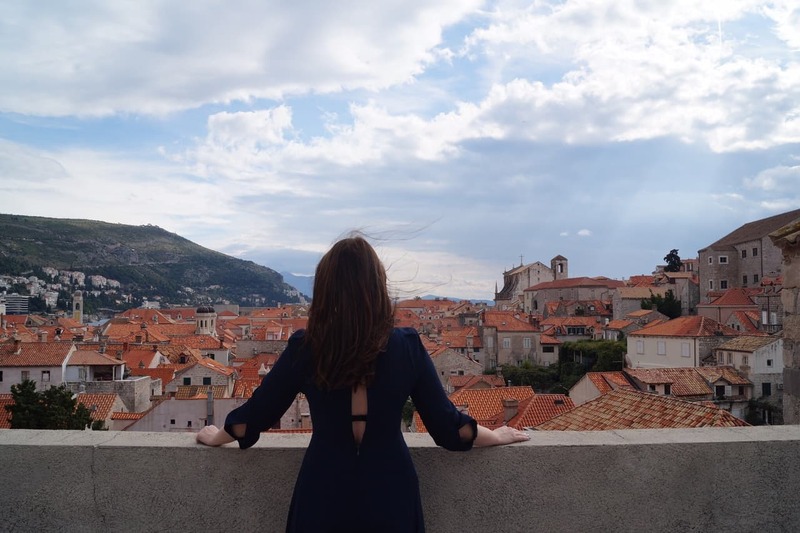 We went to Dubrovnik in the middle of October and it was amazing. I must admit, that it rained a couple of times during the day, but the weather was actually warm – around 20-22 degrees Celsius. Check the off-season travel prices for hotels in Dubrovnik, the most beautiful city in Croatia. Slovenia is definitely one of the most underestimated countries in Europe – it has everything – little medieval towns like the Czech Republic, coastal towns like Italy and Croatia, beautiful lakes and mountains – just like Austria and it’s easily accessible by plane or bus from pretty much anywhere in Europe! I visited Slovenia in the beginning of April and it was still a bit cold there – around 11-15 degrees Celsius, but it was almost empty and it was possible to enjoy the stay and the walks at one of the most beautiful lakes in Europe – lake Bled! Also, Ljubljana was extremely pretty in April and Piran, the fabulous coastal town, was even warm and sunny! 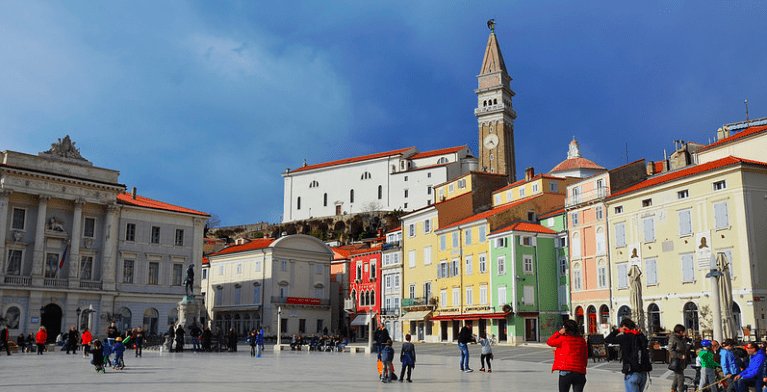 Slovenia is not so expensive, but during the low season it’s even cheaper, so don’t miss your chance to visit this beautiful country & check the availability of the hotels now! Everybody likes Greece! In summer, Greece becomes so crowded, that some of its places are even featured in various memes (e.g. Santorini – expectations vs reality). 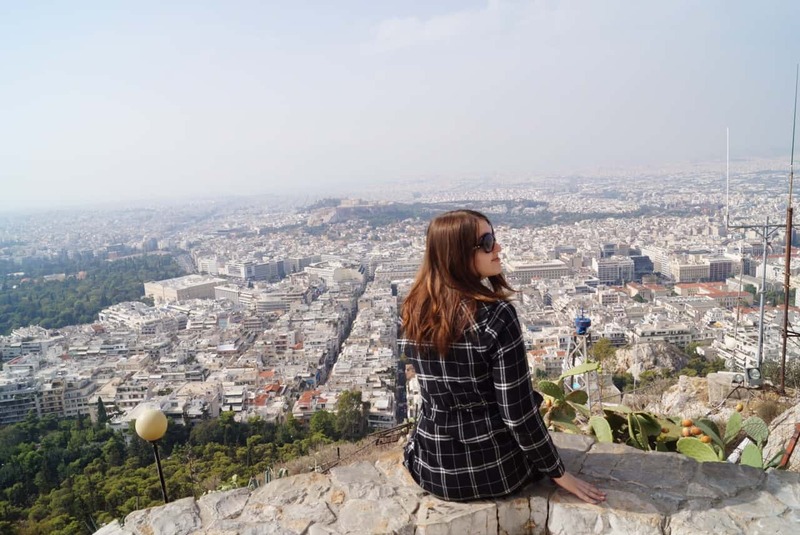 During the low seasons, however, the weather might still be warm (like in Athens in October – it was actually pretty HOT) and they will be fewer crowds, so you can actually enjoy sightseeing in Greece during your off-season travels! Check the prices for Athens during off-season now! I visited Iceland in March and it was one of the best decisions ever. No queues, no sold out trips, no bookings of the blue lagoon 2 weeks before visiting it and being jam packed inside the blue lagoon. 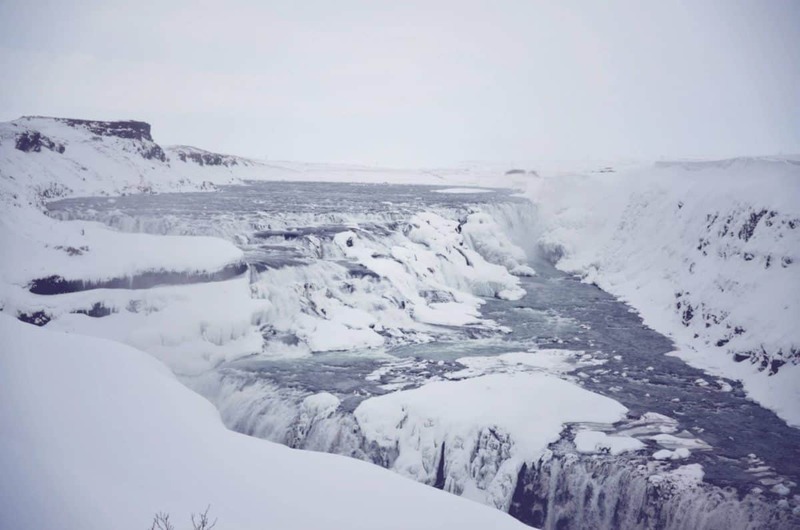 Yes, it was cold, but at the same time, Iceland looked exactly like the North in the Game of Thrones – sometimes totally worth seeing for a fan like me! Prices in Iceland can be crazy sometimes, so secure your hotel for low season travels now! Just as Greece, Spain suffers problems of over-visiting in Summer. Spain, especially, Barcelona and Madrid, get insanely crowded in summer, so crowded, that you could barely walk (especially in Ramblas, Barcelona). Some other lovely cities like Seville are catching up, even though the heat might be unbearable in summer. Nonetheless, the tourists still come. I visited Barcelona in the beginning of May and it was a really nice experience – the weather was mild and sunny and there were not so many people. As for Seville and Madrid, I visited both of them in December & January and it was a great experience! Read more about my experience in Seville in this post, where you can also find out, why you should go to Seville on Monday! Find your perfect hotel in Seville now. Italy is probably one of the most popular summer destinations for all the people from around the world. Ever imagined a romantic walk in front of the Fontan di Trevi? Forget about it, you’ll be squeezing past hundreds of tourists trying to snap a selfie in front of the famous fountain as well as the annoying sellers of cheap selfie sticks. Doesn’t really sound so romantic and I’m not exaggerating. In order to enjoy Italy a lot and not spend half of your time there in queues, try to go there off-season. I visited Italy in November and the weather was great – around 17-22 degrees and not so many people around. Then we went to Italy for the Valentine’s Day in February and it was lovely as well. Finally, we returned to Italy in March and imagine, it was even possible to take photos of empty streets in Venice! And I’m not joking! Check the prices for hotels in Venice now! Another one of the most crowded destinations is France, especially Paris is overcrowded. 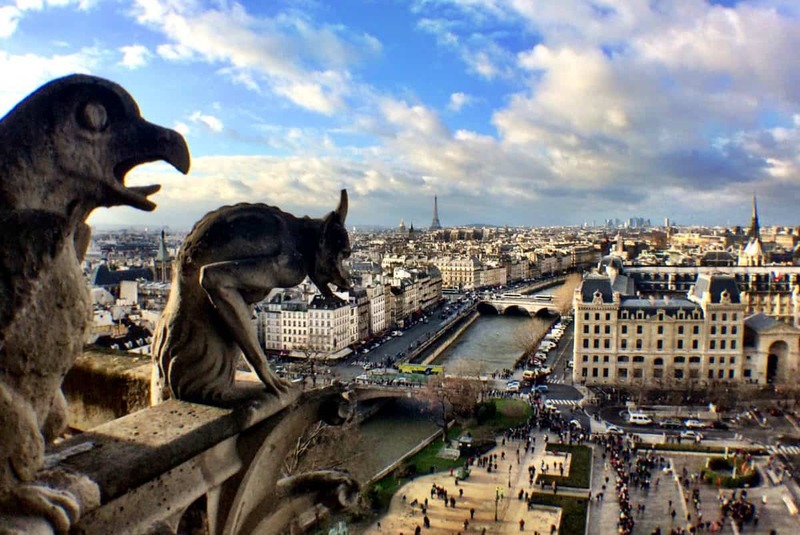 Paris is a magnet for all the tourists, but some of the visitors suffer a famous Paris syndrome afterwards (when you feel heartbroken, nauseous and even depressed after visiting Paris – because it just doesn’t look like in the photos you have probably seen anymore). However, I didn’t suffer from the Paris syndrome and I actually enjoyed Paris and didn’t spend much time in the queues at all – guess which time of the year was that? Right, winter! Just after Christmas Paris was quite empty and very photogenic and walkable! So France is definitely great for off-season travel! 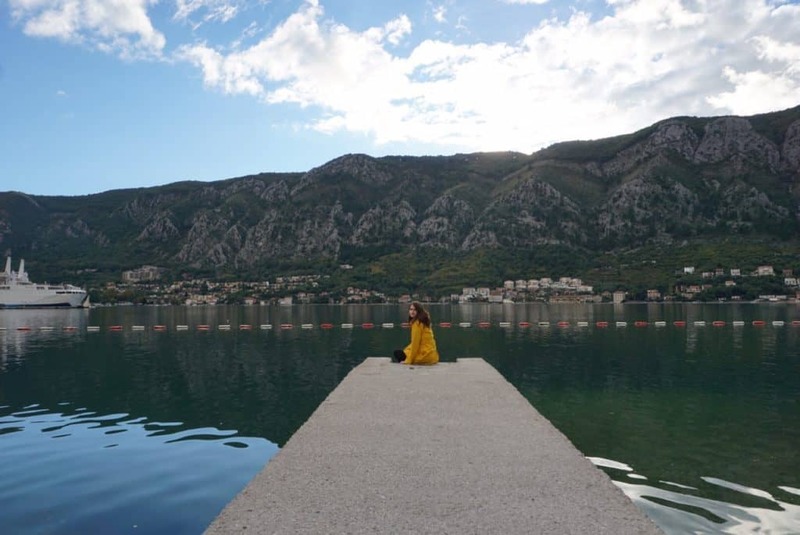 Almost the last one of the list of the 10 best destinations in Europe for off-season travel, Montenegro is an emerging travel destination, nonetheless, it gets very crowded in summer! Located just next to Dubrovnik in Croatia, the whole Montenegro (but mostly Budva and Kotor) are often invaded by the enormous amount of visitors of Croatia, who took a day trip to Montenegro. Cruise ships and regular tourists don’t help the situation at all! In October, however, Montenegro is still warm (not suitable for swimming though), but far less crowded and you can actually enjoy walking in the old town of Kotor! Check the prices for hotels in Kotor now! 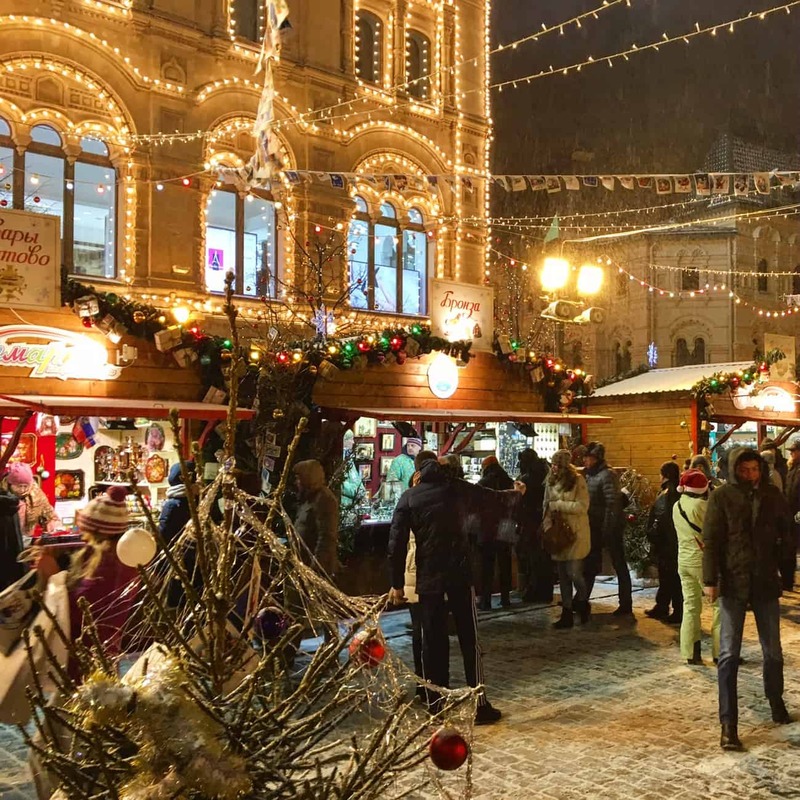 Okay, Russia might come as a surprise for off-season travel (I can imagine your terrified faces when you think about visiting Russia in winter, but it’s actually a pretty cool experience! ), however, it’s actually great to visit off-season. Speaking of Moscow and St. Petersburg, the best off-season time to visit either of these cities or the both of them could be the end of September, October and end of December – beginning of January. In October, all the trees get yellow and even red, creating very colourful landscapes, especially prominent in various parks, e.g. Summer Garden in St. Petersburg. Moscow is also great during the New Year and the Russian Christmas (on the 7th of January) – the capital of Russia takes NY decoration seriously and could seriously be named one of the most beautifully decorated cities in the world. Check the prices for hotels in Moscow now! 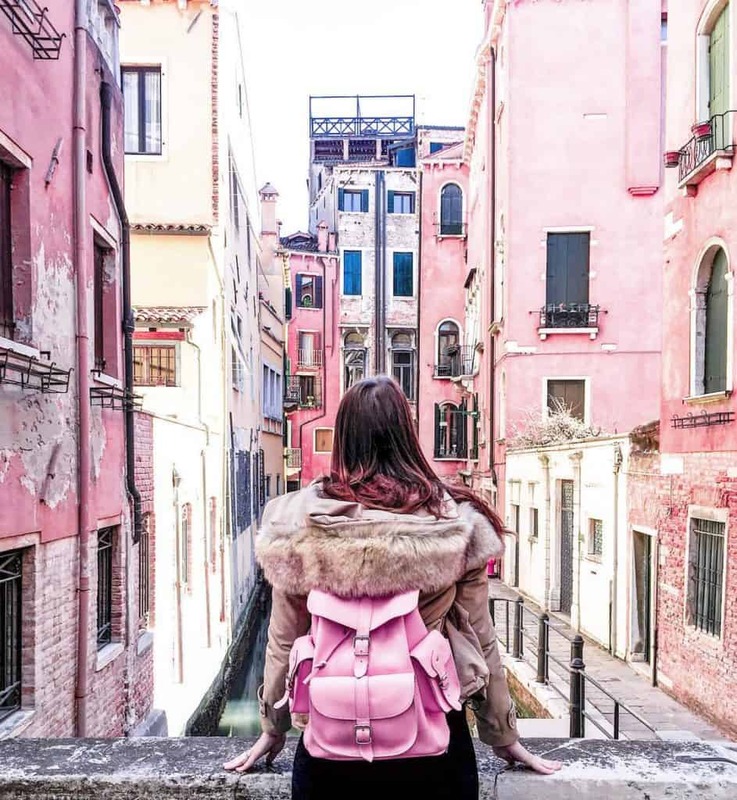 Liked this post about 10 best destinations in Europe for off-season travel? Save it on Pinterest or share on other Social Media channels! Great post! I totally agree there is nothing better than traveling in low season, I usually give my best to avoid the crowds! I lived in Greece and being there in November where is still pretty hot and totally unspoilt, is amazing! I’m from Brazil, I love the travelers and tourists ( the good ones hehe) but sometimes when gets overcrowded is pretty annoying. Hey nice one! I always enjoy travelling in Europe. Had already been in Scotland, Switzerland and Sweden. Hoping to visit the rest of the destinations sooner. Especially, Iceland and Greece. Thanks for your comment, Akshay and good luck!